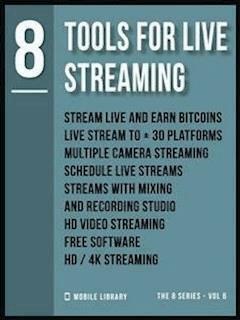 Live streaming is growing in popularity and is now considered an essential marketing tool.This has led many creators to desire start using live streams in their strategy to get more followers or increase the engagement with them.Sometimes it may seem like something that is technically hard to achieve, but we are here to help - in this eBooks you will discover 8 services/software you can use to start doing your own live stream, or to improve the quality or features you use on them.Lights. Camera. Live Stream!